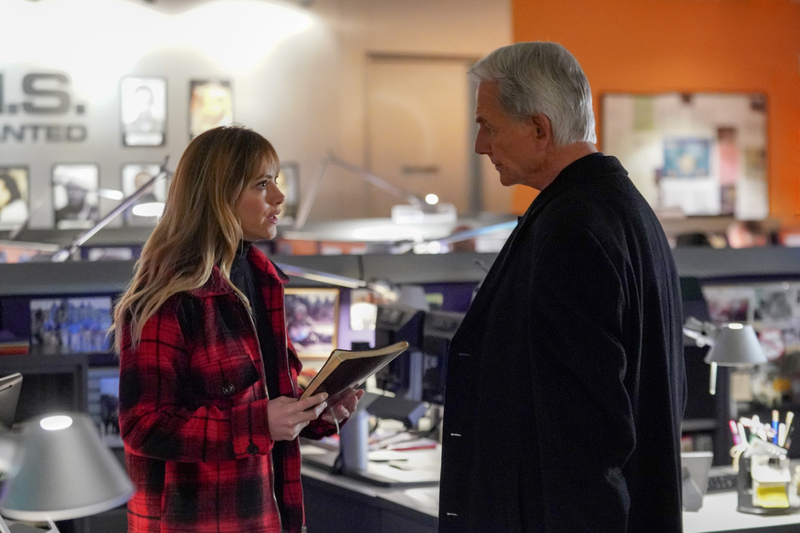 Preview images for the next new episode of NCIS on CBS which is called "She"
The episode will bring mention of an old case of Ziva’s and guest stars Sunnie Pelant as Lily Burke. The name “Ziva” came up in a teaser – could we see Cote de Pablo in flashback? She’s not in the guest cast list, but we can hope to be surprised. Here’s how CBS describes it; some photos follow below. After a malnourished and confused 9-year-old is found hiding in a storage unit, NCIS reopens an old missing persons case when the girl is believed to be the daughter of a Navy recruit who disappeared 10 years ago. Also, Bishop discovers notes that Special Agent Ziva David kept on the case long after NCIS officially stopped investigating, on NCIS, Tuesday, Feb. 5 (8:00-9:00 PM, ET/PT) on the CBS Television Network.